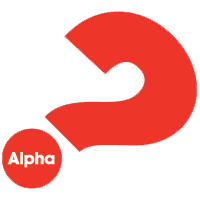 Alpha is an opportunity to explore life and the Christian faith in a friendly and informal environment, in 11 weekly sessions (Monday evenings, 7:30-9:30 pm, in the church hall). Each session involves food, a video talk and some time to say what you think. It’s fun, relaxed and free and you can ask anything you like. To find out more, join us for supper and a taster Alpha session at St Joseph’s Church Hall at 7.30pm on Monday 24th September 2018. Visit the Catholic Alpha page here.